The longtime, indefatigable regional NAACP leader, Ina Boon, whose name became synonymous with the organization in the St. Louis region, has died. She was 90. For more than half a century, Ms. Boon was a bold advocate for racial justice through her leadership roles with the National Association for the Advancement of Colored People, the nation’s oldest and largest civil rights organization. During her tenure, Ms. 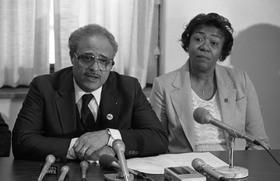 Boon worked closely with some of the NAACP’s most well-known civil rights leaders, who all became her boss, including Roy Wilkins, Rev. Benjamin Hooks, Chavis Muhammad (formerly Benjamin Chavis) and Kweisi Mfume. She was a woman of regal bearing who became known for not mincing words. “If you have ever experienced a hurricane with tenacity and determination to move negative racial obstacles blocking the advancement of minorities, you didn’t wish to stand in my mom’s way,” said her son, Gentry W. Trotter. In 1993, when black people were unaccountably being rejected for bank loans, she told the St. Louis Post-Dispatch that the reason was obvious: "It's racism — high profile." Ms. Boon died Monday, Feb. 27, 2017, following health complications, in a north St. Louis County nursing home. Ms. Boon began working for the NAACP in the late 1950s as a volunteer, when the nation entered the throes of the civil rights era. She left her U.S. government job to become a full-time executive secretary for the group. It was a dangerous time for NAACP field secretaries such as Ms. Boon, who were actively registering people to vote, as well as demanding equal treatment on hiring for jobs and fair housing. The murder in 1963 of a fellow field secretary did not deter her from traveling the back roads of the Missouri Bootheel; but she also made arrangements to keep her family safe. “When Medgar Evers was field secretary of the NAACP in Mississippi and was murdered, we were sent to Wisconsin to live with relatives,” wrote Trotter in a Facebook post of his mother’s death. In later years, Ms. Boon would promote the “Back to School/Stay in School” program, calling for a boycott of the St. Louis Public Schools. It was 1963. The Chicago Tribune reported that Ms. Boon had asked parents to keep their children home to protest racial discrimination in the schools. The following year, she spearheaded a boycott of Dillard’s because the department store didn’t employ any black models nor did it employ a significant number of African-American clerks or managers. In the late '60s Ms. Boon was named by the National NAACP headquarters as their national life membership director. She worked briefly out of the New York headquarters. She then returned to St. Louis having been promoted to Region IV director, where she supervised the activities of the branches and state conferences in Colorado, Iowa, Kansas, Minnesota, Missouri, Montana, Nebraska, North Dakota, South Dakota and Wyoming. She retired from that job in August 1995. 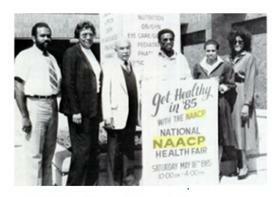 Unlike many other civil rights groups, the NAACP primarily focused on working within established systems to bring about change. It was Ms. Boon’s forté. She took major entities to task, from the Professional Golfers Association, for holding tournaments at all-white country clubs, to the National Football League, for planning to build a stadium with a paltry number of African-American workers. Her regional office challenged the hiring practices of federal offices, the Military Personnel Records Center and local police and fire departments. Ms. Boon worked closely with Evelyn Roberts, who once headed the city of St. Louis' NAACP chapter, (and who later became a national NAACP Board member) to help secure the finances needed to wage a legal battle on behalf of black firefighters. Sherman George credited the lawsuit for helping him climb the ladder to becoming the city’s first black fire chief in 1999. A year prior to George earning that top position, Ms. Boon was involved in a similar lawsuit on behalf of three firefighters in north St. Louis County. They charged that a less qualified white candidate was chosen for a job for which they were not even interviewed. Ms. 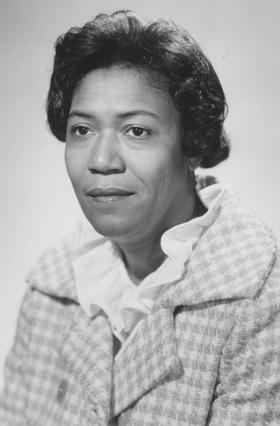 Boon, who was then serving as treasurer of the St. Louis County branch of the NAACP, described the situation to the Post-Dispatch as "blatant discrimination.” She later became St. Louis County NAACP president, as a volunteer. She never shrank from thorny issues, such as whether whites should adopt African-American children. Yes, was her opinion, if they were aware of ''what different cultures are all about,” she told the Post-Dispatch in 1990. And she never ran from a fight, even when her opponent was the first African-American mayor of St. Louis. In 1993, she and Freeman R. Bosley Jr. came to loggerheads over school busing. Bosley wanted the court-ordered program for desegregation of schools to end; she did not. And it did not. "If it takes a bus, a plane, a train – whatever it takes to assure quality in education," she told the Post-Dispatch, that's what the NAACP would do to ensure school desegregation. The mandate eventually ended, but not on her watch. For more than 50 years, Ms. Boon marshaled the forces of the NAACP and raised her voice on behalf of justice. When financial strife forced the closing of the Region IV office in 1995, Ms. Boon was offered a position at the larger Region V based in Atlanta; she declined. She elected to remain in St. Louis, actively engaging in every facet of the community and continuing to lend her wisdom and skills to her beloved NAACP. Ms. Boon organized the Cardinal Chapter of the Top Ladies of Distinction, was a former board chair of the Myrtle Hilliard Davis Comprehensive Health Center and was a longtime member of the St. Louis Black Roundtable. Ms. Boon graduated from Sumner High School and attended Oakwood University in Alabama. In the early 1940s, she married businessman Lavert Trotter Sr.; they later divorced. Survivors include her son, who also served on the National NAACP board of directors and was the civil right group’s editor-in-chief, publisher and chairman of The Crisis Magazine. Funeral services will be private. A public memorial service is being planned.